Edward Lee Thorndike was a well known an American psychologist. Born on 31st August 1874 in Massachusetts, United States he worked on animal behavior. He has the honor of laying the foundation for modern educational psychology with the help of his proposed theory on connectionism. Thorndike’s theory on learned behavior is formed on the basis of operant conditioning and classical conditioning. Also, employee exams and testing comprises of his major works based on solving industrial problems. He served as a member of the board of psychological corporation, he also has the honor of serving as the president of the prestigious American Psychological Association. Edward Thorndike acquired his early education from The Roxbury Latin School. He completed professional degrees of BS and MA from Wesleyan College and Harvard University, respectively. Animal learning was the main area of his interest, while studying in Harvard with William James he set up an experiment to study animal learning. For this experiment he designed a puzzle box and placed the cat in it and the cat was allowed to escape to reach out for the fish. The cat used to stumble upon the lever first accidently but then it became a learned behavior for it through pressing the lever repeatedly. He devised the Law of Effect through this experiment. He soon found his interest in studying man upon which he spent his entire life. He obtained his PhD from Columbia University in 1969. His PhD thesis was supervised by James McKeen Cattell, the pioneer of psychometrics. He got employed at the College for women of Case Western Reserve at Cleveland. He was unhappy at his initial job but things became much better and happier for him when he started teaching psychology at Teacher’s College in Columbia University. This job worked wonders for him as he spent a major portion of his career teaching at this university. He studied mental testing, human learning and education during his lifelong tenure at Columbia University. He was the first psychologist to use nonhuman subjects in his thesis entitled as “Animal Intelligence: An Experimental Study of the Associative Processes in Animals”. He was also known as an expert in designing tests. While working for US Army during World War he designed the Alpha and Beta versions of tests now known as ASVAB. It is basically a multiple choice questions conducted under the supervision of United States military entrance processing command used to assess the qualifications needed to list the eligible candidates for United States Armed Forces. Edward Thorndike played a remarkable role in contributing to the field of psychology. Animal psychology and behaviorism are his major fields of accomplishments including many others. He has won prestigious accolades as an accomplished psychologist including the designation of the president of American Psychological Association as well as the well deserved membership at National Academy of Arts in 1917. He died on August 9th, 1949.
" 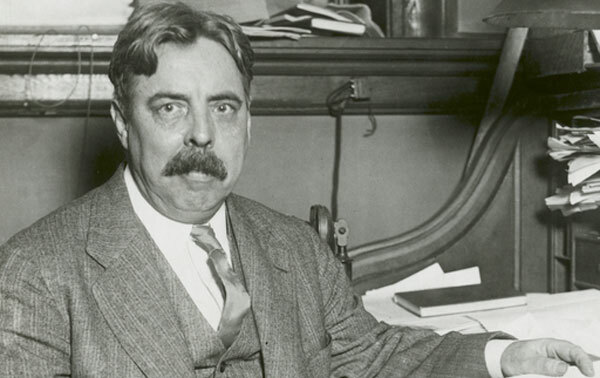 Edward Thorndike," FamousPsychologists.org, https://www.famouspsychologists.org/edward-thorndike/ (accessed April 25, 2019). Edward Thorndike [Internet]. FamousPsychologists.org; 2014 [cited 2019 April 25]. Available from: https://www.famouspsychologists.org/edward-thorndike/. Edward Thorndike, https://www.famouspsychologists.org/edward-thorndike/ (last visited April 25, 2019).